Students at a Pennsylvania high school allegedly staged a protest of the Day of Silence, which included intimidation and physical harassment of LGBT students and their allies. The Day of Silence, an annual event that raises awareness of LGBT bullying, produced a loud backlash from students at a Pennsylvania high school. 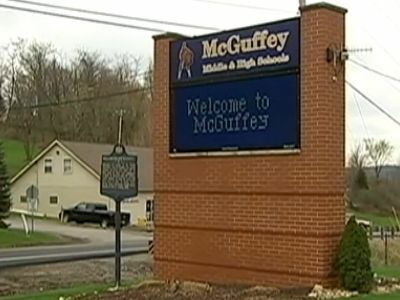 A group of students at McGuffey High School allegedly organized an "Anti-Gay Day" in response to the peaceful protest coordinated by the Gay, Lesbian, and Straight Education Network. 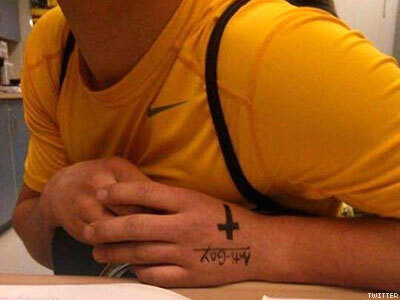 A local news station, WPXI-TV, reports that the clique encouraged others who were antigay to wear flannel and write "Anti-Gay" on their hands Thursday, the day preceding the Day of Silence. But the backlash did not end with sartorial choices. Participants also targeted LGBT students, hanging posters on their lockers and physically harrassing them in the hallways of their school. “There was pushing, posters hung on homosexual students’ lockers. Teachers were having to run out and take them down,” Zoe Johnson, a student at McGuffey High School, told the news station. “It hurts me to see how rude and cruel, and some of these people were my friends before this started," she added. 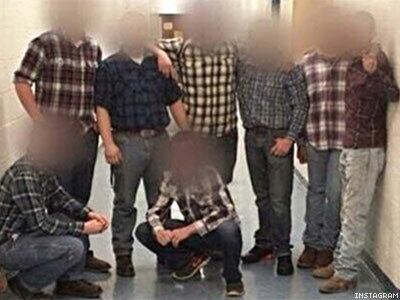 The antigay group promoted the event on social media, posting a photo of the flannel-clad participants. "Anti-Gay Day" was to be the first of a planned week-long series of antigay events, which would use clothing to signal their animosity toward their LGBT peers. "Flannel anti-gay day only a few of many tomorrow is red day," a student wrote in the caption. Nationwide, animosity toward the Day of Silence has been encouraged by groups like Focus on the Family and the Illinois Family Institute, which organized antigay events like the Day of Dialogue as well as walkouts in protest of GLSEN's "homosexuality-affirming dogma." However, some students do not feel safe returning to the school. “It's sad to me. It's a high school. We should feel safe here. We don't, and it's starting to get worse,” Johnson said. Among the reasons for this fear, WPXI-TV learned, was a "lynch list" circulating around the school, with a growing list of names. Watch the video report below, as well as the full statement of one of the students.